Home / 2017 Articles / How Much Offensive Depth Do the Nationals Have? How Much Offensive Depth Do the Nationals Have? With the season a third of the way over and summer fast approaching, things couldn’t be going much better in the nation’s capital, at least as far as baseball is concerned. The Nationals are currently 36-20, good for a 11.5 game lead over the second place… (double-checks standings) Braves? The season is barely a third of the way over, and it looks like the Nats are well on their way to claiming the division title, their fourth in six years. 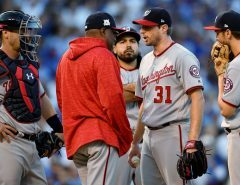 Despite all of their success, the Nationals still have a potential problem on the horizon, and that is their depth — or lack thereof. 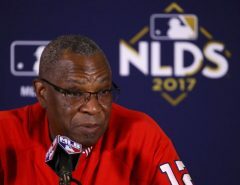 Although the Nationals have a commanding lead in their division, injuries happen, and the reserves will have to play well if the Nats hope to continue their hot start for the remainder of the season. Injuries and a lack of performance have already put the organizations depth to the test, and have produced varying results. 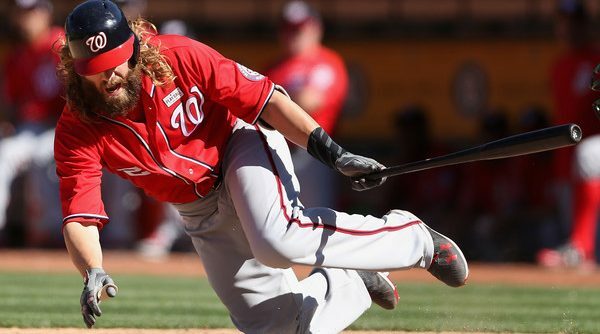 With Jayson Werth on the DL, I thought it would be prudent to look at the Nationals current depth options, starting with the hitters, and see what they could bring to the team if called upon. We’ll start at first base which is probably the safest position on the team. The Nationals essentially have two major-league caliber first baseman on their roster right now, and although Ryan Zimmerman and Adam Lind have both had their share of injury problems in the past, it’s unlikely that the Nats depth would be put to the test at 1B. Even assuming the worst, the Nationals are well equipped in AAA. Clint Robinson has had just an ok season, but brings a veteran presence with a track record of success at the major league level. Alternatively, Brandon Snyder has for the most part struggled in the MLB but is off to a good start for Syracuse, and should be fine as the shortside of a platoon. Neftali Soto and Jose Marmolejos are both tearing up AA, but I would be shocked if we saw them in the big leagues this season. Moving to the middle infield things start to get a little murkier for the Nats, though the options available are still fine. Daniel Murphy hasn’t always been the picture of health, but has managed to play at least 130 games in each of the last 5 seasons, and is once again decimating National League pitching. At shortstop, Trea Turner has had an inconsistent season, and although he has seemingly recovered from his early April hamstring injury, he has been unable to recover his April form. On the major league roster, the Nationals have Wilmer Difo and Stephen Drew currently riding the bench, both of whom have struggled this season. Despite their struggles, Difo and Drew both have track records of success, and should be able to hold their own in a starting role, at least for a short time. The problem up the middle lies in the lack of minor league options. For much of the season the Chiefs have been employing some combination of Adrian Sanchez, Irving Falu, and Grant Green up the middle, none of whom inspire much confidence or have a spot on the 40-man roster. Green and Falu both have major league experience, but they haven’t exactly been lighting the world on fire in AAA, and represent little more than an emergency option. Should the need arise Green would likely receive the first call, already having joined the major league team once this year, but only in a bench role. Like the middle infield positions, third base is a position of strength at the major league level, but the club’s options are rather thin at AAA. Of course Difo or Drew could be expected to man the hot corner, but that would leave a short bench, and therefore weaken the already precarious middle infield depth. Unlike the middle infield however, the Nationals do have an option on the 40-Man roster in Matt Skole. Skole has had an up and down 2017, but for the most part has done what he does best: hit for power, get on base, and strike out. Skole wouldn’t be expected to completely makeup for the potential loss of Anthony Rendon, but could be an intriguing option should the need arise. Going into the season the outfield was easily the Nationals deepest position, and it’s a good thing it was as this depth has evaporated right before our eyes. A season ending injury to Adam Eaton dealt the Nats outfield a massive blow before the season could even get rolling, but with the emergence of Andrew Stevenson it appeared that the Nationals depth would remain relatively intact. This has changed in the last few weeks, however. In quick succession, Chris Heisey and Rafael Bautista both found themselves on the disabled list, and with Werth’s most recent injury, things are looking ugly for the Nats outfield in the short term. Michael A. Taylor and Brian Goodwin have both played well in the interim, but I don’t know if I trust that starting duo over an extended period of time, given Goodwin’s lack of experience and Taylor’s history of inconsistency. Heisey is set to make his return from a rehab assignment, which should at least give the Nationals another outfield body off the bench, but he was ice cold before his injury and shouldn’t be expected to shoulder any significant amount of playing time. Since his promotion to AAA, Stevenson has disappeared, struggling to a .174/.195/.183 line, effectively removing himself from the mix. The Nationals added Ryan Raburn at the end of May to provide some much needed depth to a barren Syracuse outfield, but he’s already found himself in the major leagues following Werth’s toe injury. While the Nationals outfield picture is looking dim at the moment, I think it will eventually work itself out in the long term. Simply put the Nationals have too much talent in the outfield for this unit to be a liability, and once players returns from the disabled list they should have one of the deepest outfields in the league. Finally we come full circle to behind the dish, where the Nationals have been saved by the much-maligned signing of Matt Wieters. On the eve of Spring Training the Nationals were set to use some combination of Derek Norris, Jose Lobaton, and Pedro Severino at catcher, but in a move that looks genius in hindsight, decided to sign the free agent veteran Wieters to a one-year deal. While Norris is currently doing his best Sandy Leon impression for Tampa Bay, Severino and Lobaton are still with the Nationals and have struggled mightily. While Lobaton has continued to display his normally excellent defense, he’s looked lost at the plate albeit in a small sample size. Severino has performed just as poorly at the plate for Syracuse, hovering around the Mendoza line for much of the season. Both Lobaton and Severino are fully capable of being major league backups based solely on their defensive abilities, but have become non-factors at the plate. With Wieters playing well, (and most importantly healthy) the Nationals can get away with having a defense first backup catcher, but should the injury prone Wieters go down, the Nationals will find offensive production elsewhere, because it won’t be coming from behind the plate. 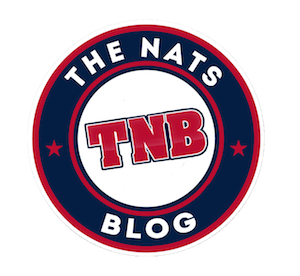 It’s important to note that this entire post could become irrelevant should the Nationals stay healthy and productive, but in baseball, that’s like praying for rain in the desert. Injuries happen, players go into slumps, and without the proper depth to make up for these setbacks, once promising seasons can be lost — just ask the Mets. It’s been a crazy week at work so I wasn’t able to fit the pitching staff into this post, but look for part 2 in the next few days! Given how Sandy Leon had a great year for the Red Sox last year, I would take Lobaton or Severino doing a Sandy Leon imitation. Heck, I would take Leon’s .224 average so far this year over Lobaton’s sad display.